Is your belly feeling good yet? 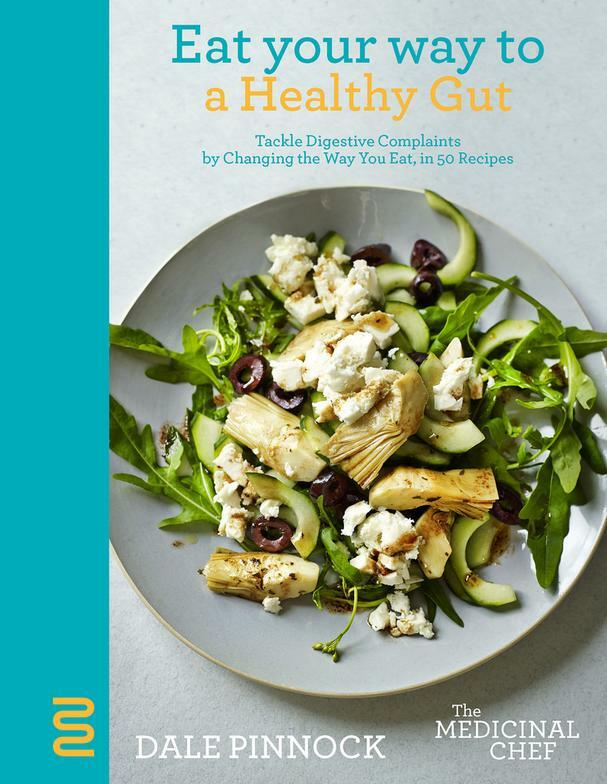 Today is Day 8 of our Gut Health Series and this week I've featured healing recipes from three of my favorite gut-healing cookbooks (check out our homepage for all of the recipes). 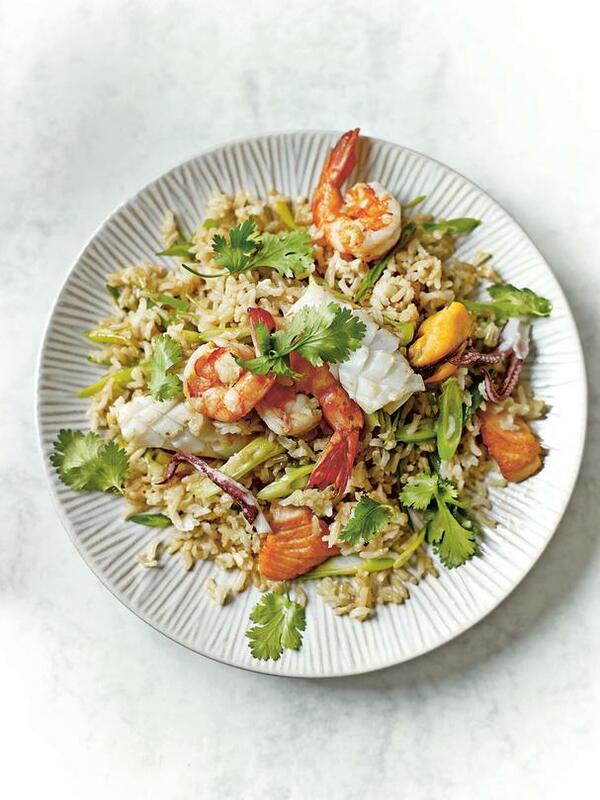 This Asian-inspired stir-fry recipe comes from Eat Your Way to a Healthy Gut, the latest cookbook from nutritionist Dale Pinnock, known as The Medicinal Chef. It's nutrient-dense, and gut-soothing with lemongrass and ginger infused brown rice. Plus, it's easy enough to make any night of the week. Toss in a blend of mixed seafood - like salmon, shrimp, mussels, calamari - for a healthy and healing dinner you're sure to love! Bash the lemongrass stalks with something heavy, such as a rolling pin, to split and bruise them so the juices easily flow out. Cut in half and place, with the brown rice, in a saucepan. Add enough water to just cover, then bring to a boil. Simmer for 30 to 35 minutes, until the rice is soft. The most important thing is that you do not add loads of water at once. Keep topping off the water as the rice looks dry. This way the flavor of the lemongrass will infuse into the rice, rather than into a load of water that will be thrown away. When the rice has cooked, simmer until only the smallest amount of water remains, stirring to stop the rice sticking and catching. In a wok or large frying pan, cook the garlic, ginger, and scallions in a dash of oil, with a good pinch of sea salt, until the garlic begins to mellow in aroma, stirring constantly. Add the seafood and stir-fry for about three minutes. Add the brown rice, discarding the lemongrass, and mix well. Add the soy sauce, cilantro, and lime juice and mix thoroughly before serving.